Kathleen was a healthy, physically fit 37-year-old female business owner and an avid runner who typically ran a minimum of six miles a day, four to five days a week. In addition to her running routine, Kathleen enjoyed participating in yoga classes frequently to keep her fitness program broad-based. In 2005, following one of her yoga classes, Kathleen recalls feeling like she pulled something in her neck during her class. After the class ended, she had to drive directly to New York, a five-hour trip. By the time she arrived in New York city she was experiencing severe neck pain. Her neck pain did not resolve over the next several weeks and she sought the consultation of a neurosurgeon. He ordered an MRI which showed a complete rupture of her C5/6 Disc and recommended immediate surgery to alleviate her pain and avoid nerve damage. Surgery was performed to remove the ruptured disc, fuse the affected vertebra above and below the disc with bone from a bone bank, and add a small plate to stabilize the vertebra. Kathleen was thrilled when her pain was completely eliminated and she felt so well following surgery. Her surgeon was also a runner and knowing that Kathleen wanted to return to running and eventually participate in triathlons, he insisted she pursue physical therapy to maximize her chances. A friend of Kathleen’s had received physical therapy from Blaser Physical Therapy and recommended their services. Kathleen followed her friend’s recommendation and sought out physical therapy services at Blaser Physical Therapy. She was delighted to find that Blaser Physical Therapy not only provided the treatment her surgeon had prescribed, but the level of care was exemplary. Her treatment plan included a full detailed evaluation and development of a comprehensive rehabilitation program in order to accomplish her goals. She received manual “hands on” treatment, range of motion, ultrasound, strengthening, full assessment of her running form, and a progressive running program. Kathleen was instructed every step of the way of signs of “over doing” her exercises or running. Patient education was a key part of her program to ensure overall success. Following discharge, Kathleen went on to compete in her first triathlon and placed first in her age group! Five years later, after obtaining a very respectable status amongst fellow female triatheletes of her age, Kathleen participated in back to back Triathlons in September and October of 2010. Both were most challenging events and the following week during a typical cycle training ride, she sustained a severe hamstring strain. When Kathleen had progressed to achieving her goals safely once again and was independent in her discharge program, her physical therapist referred her to one of many trainers Blaser Physical Therapy works closely with to provide the patient with consistent transition strengthening. 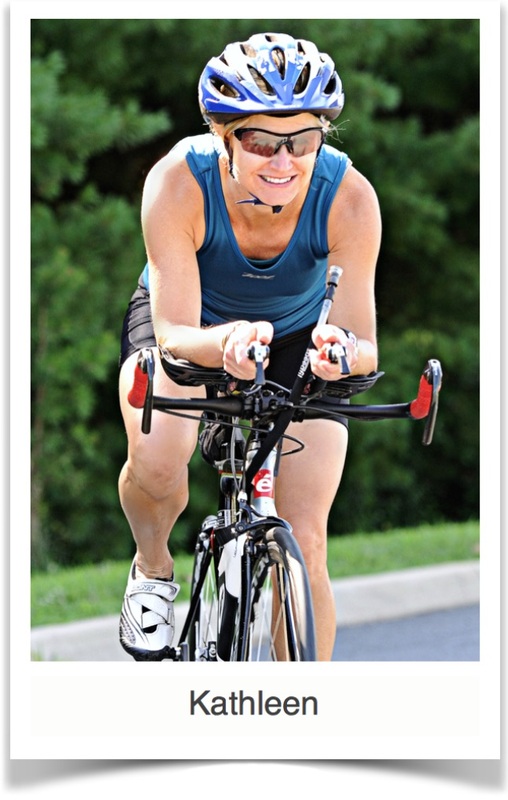 Happily, Kathleen was able to once again overcome her injury and return to the sports event she loves, Triathlons! She is most thankful that her surgeon had insisted on physical therapy following her neck fusion to show her the value of what strong, consistent physical therapy treatment can provide.